Use this activity at Church and have the girls shape a woman, and the boys shape a man. Teach them about the verse Genesis 1:27- So God created man in his own image, in the image of God created he him; male and female created he them. (you can have them write the scripture on the paper plate if they are old enough to write. )Then have them sculpt their creation on it. Have the kids use raisins or chocolate chips for the eyes, chow main noodles for hair, pretzels for arms and legs, and dried fruit for the mouth. Let the kids have fun with this, and let them know that God made man and woman in his image. When they are done with it, let them eat it. This is a really short activity for the kids to do. 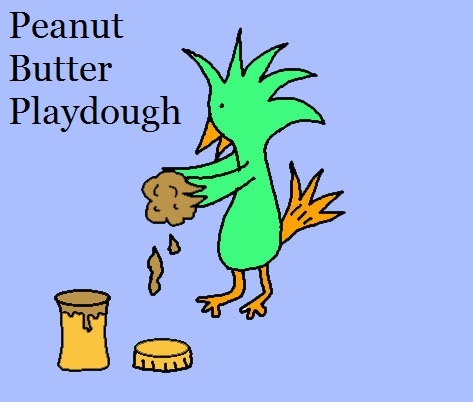 Mix together, and play with your play-dough. You can use raisins, nuts, coconut, chocolate chips, butterscotch chips, dried fruit, pretzels, smarties and other decorations to add to your edible masterpiece.